Welcome to SPARK – we are so excited to announce that we are open for business after a few very busy months of planning and preparing. We have to say the wait has been worthwhile but don’t take our word for it! Check out the opportunities below and Spark some new ideas, a new way of thinking or even a new business interest! CREATE a better working environment for your small business… Spark CoWork is a space that has been designed with you in mind; to allow you to bring ideas to life, to build your business and create the something you have always aspired to! Our co-working space offers large desks, comfy ergonomic chairs, high speed WiFI, air conditioning and a never ending supply of coffee! It’s not HOME SWEET HOME but rather SPARK SWEET SPARK! Create a better working environment for you today and check out our options for drop in, casual or permanent memberships. COLLABORATE… Nothing great is ever the product of one mind – ideas (and businesses) grow better when we collaborate. No need for underwhelm or overwhelm – we are aspiring to “whelm“ here at Spark. To assist community members can now enjoy the presence of a Business Centre advisor every Thursday fortnight to facilitate to Business Connect program. 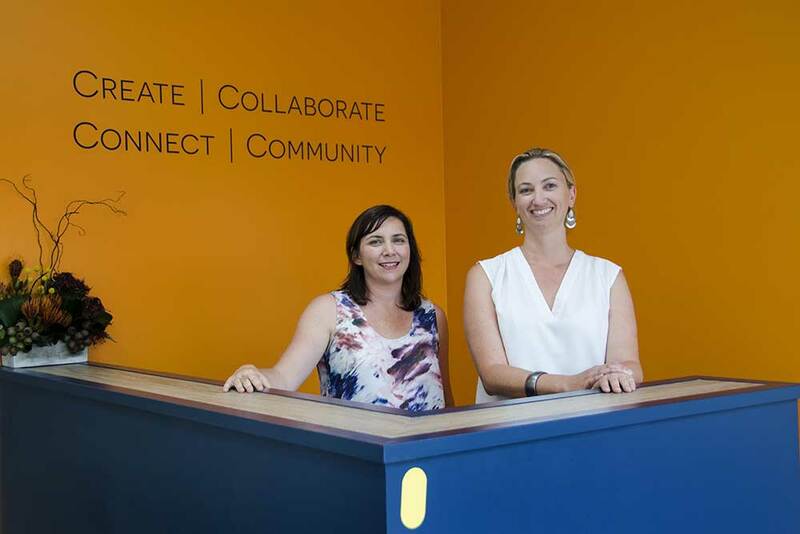 This program, that is funded by the NSW Government, will provide business advisory services and business skills training from 1 January 2017 to 30 June 2020. Business Connect aims to support small businesses to startup, create jobs through growth, help established small to medium enterprises (SMEs) become sustainable and increase business confidence across NSW. If you have interest in accessing this free service please contact us on 40581988. CONNECT… Our Port Stephens Business Community connected at our Opening earlier this month when we welcomed Mayor Ryan Palmer, councillors and members of the business community to the official opening of Spark. Check out the full story as covered by The Examiner. COMMUNITY… We are proud of the Spark community that we are building. If you’d like to become part of a village of like-minded people business people, supporting and helping each other to succeed, we would invite you to join our Community member program. Benefits include discounted access to meeting rooms, special member priced training, discounted printing and photocopying services and the opportunity to profile your business to other small businesses – but you need to be quick! Our opening sign up special of $66 for the year ends March 31st so don’t delay and sign up today. BRIGHT SPARKS…Introducing Tanya Beaumont of Amplified Business Services If you are ready to amplify your business to the next level, Tanya can help! Photographic and creative word enthusiast specialising in digital content creation. Social media management, website and brand elevation, bookkeeping, payroll and PS services. Amplified Business Services can organise, elevate and create strategies to keep your business soaring! Contact Tanya Beaumont on Mobile 0419842449 or come and visit Tanya in Spark every Wednesday.